We can’t live without water and it is an area which many parents suspect may have something to do with the eczema. Water that we drink or bathe in has been covered in this post, but today’s post is focused on Water Hardness and reviewing the research in this area. Finding: Exposure to hard water and infant swimming interact with atopic status increased the prevalence of childhood eczema. A breaching of the epidermal barrier by detergents or salts in hard water and by chlorine-based oxidants in swimming pool water might explain these interactions. Finding: Water softeners provided no additional benefit to usual care in this study population. Finding: Water hardness in the area where 6-7 year-old schoolchildren live has some relevance to the development of eczema. 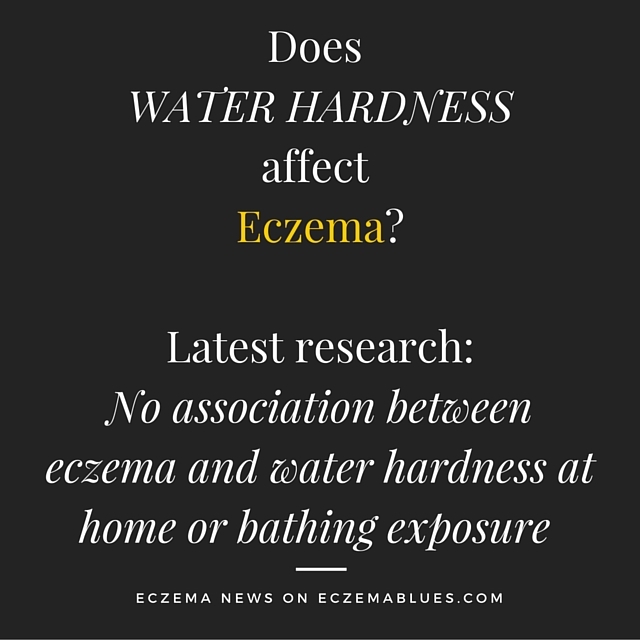 It seemed that although water hardness is believed by parents to have an impact on eczema, this is not seen in research, the most definite trial is that in Feb 2011 which was a randomised controlled trial as opposed to analysis of data. It’s good to say that swimming and atopic eczema usually go together just fine. The problem is caused by the water – it washes off a layer of the skin’s protection and leaves it very porous to water loss afterwards: a thin application of moisturizer before swimming protects against this. Otherwise, the chemicals in the water of a swimming pool are disinfectants – chlorine, & bromine for example – they can be good for the skin, as their antibacterial effect is anti-inflammatory. However these additives can irritate too. Swimming for long periods during a bad flare of eczema is not advisable as the swimming pool water may cause more skin dryness. What’s your experience with hard water or did you purchase any of the water treatment kit for your home? Share in the comments so that other parents can learn from your experience!